EMS has just updated our wireless product demonstration facilities here at Herne Bay. 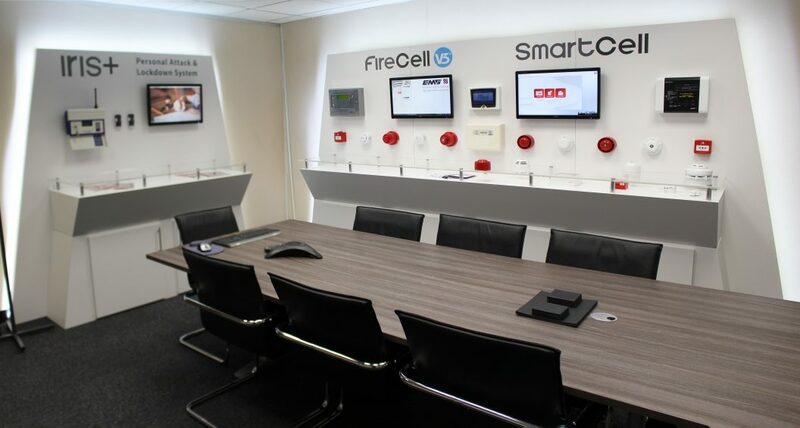 This will give visitors and customers first hand experience of both our fire system, FireCell, as well our renowned PA and lock down system, IRIS. Using live systems and touchscreen technology, product demonstrations can now show just how easy it is to use and operate these systems. As wireless and hybrid becomes more popular, more and more systems are utilising this technology to meet the demands of the building being protected and the many risks associated with fire safety. Used across large and small sites wireless has come of age. We would welcome fire professionals and system users, who may be thinking about wireless or perhaps have a project in mind, to come along and see the technology in action. Contact Ray Puttock, Director of Marketing, on 01227 369570 or email marketing@emsgroup.co.uk to set up a time and date to come along and join us.